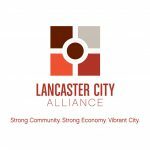 We believe Southwest Lancaster is a safe and peaceful neighborhood through the ongoing collaboration of residents, community organizations, and public safety agencies. Offer Positive Community Engagement for At-Risk Populations. Create a Safer Environment that Deters Crime. The safety committee is working to Light Up the Neighborhood by adding more porch lighting. More outdoor lighting is proven to reduce crime and increase peace of mind of residents. We are offering neighborhood residents (homeowners and tenants) who don’t have a front porch light an opportunity to have one installed for free (a $500 value). Contact Jake Thorsen to see if you are eligible for a light – (717) 455-3626. 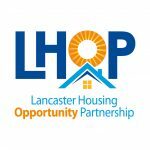 In partnership with Lancaster City Alliance, the Bike Ambassadors serve the SoWe Neighborhood seven days and 49 hours a week. Bike Ambassadors provide information about services to neighbors as well as work to correct quality of life issues. Say hi to the Bike Ambassadors as they ride by, they are here to serve you! For more information about the Bike Ambassador program contact, Dave Aichele at Lancaster City Alliance. SoWe is working with the Lancaster Safety Coalition to install safety cameras in SoWe. Safety Cameras provide real time centralized monitoring for Lancaster’s neighborhoods. These cameras serve to deter crime and assist in the mobilization of public safety responses. View a current map of cameras in SoWe.